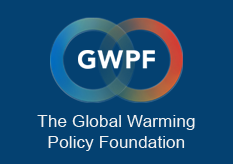 AFP: The world’s major emerging economies led by China are calling for a “binding” amendment to the Kyoto Protocol requiring rich countries to slash carbon pollution by more than 40 percent compared to 1990, according to a document seen by AFP Thursday. The previously unseen 11-page draft “Copenhagen Accord”, to be posted on the website of French daily Le Monde, was finalised on November 30 after a closed-door meeting in Beijing between China, India, South Africa and Brazil. The initiative, led by Beijing, was conceived as a rebuttal by developing countries to another backroom accord hammered out by Denmark, host country for the December 7-18 climate change summit. The text embraces the objective of limiting the increase by 2100 of global temperatures to 2.0 degrees Celsius (3.6 degrees Fahrenheit) compared to pre-industrial times, a goal shared by developed countries. But the emerging giants also called on rich countries — committed to CO2 reductions under Kyoto of at least five percent by 2012 — to “multiply by eight” that promise for a second, seven-year period running up to 2020. The draft accord says these commitments must be made “mainly through domestic measures” and not through the purchase of so-called “offsets” outside their borders in developing countries. It also stipulates that any developed country that is not constrained under Kyoto — in effect, the United States — should take on the same legally binding commitments.